It's time for the annual Junior Bike Race in Bayport, and Frank and Joe are the top contenders. Midway through the race, Frank runs over a nail and blows a tire. 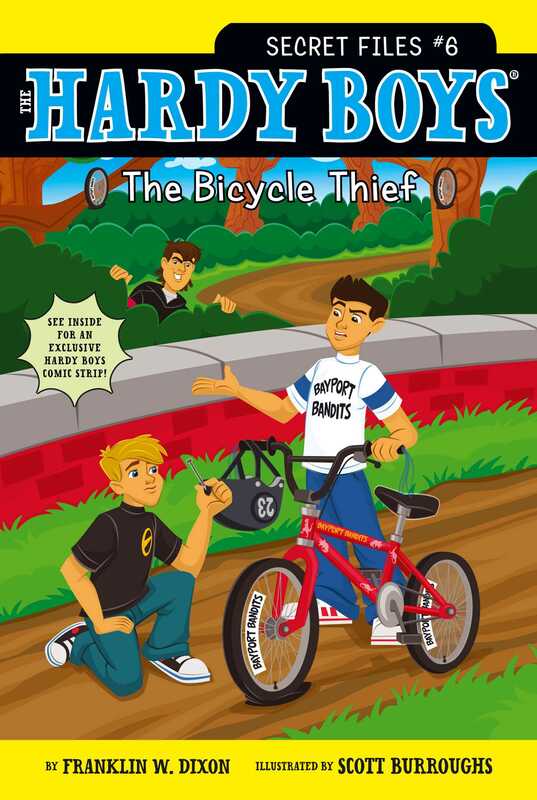 It seems as if the day couldn't get worse--until Frank's bicycle goes missing! Bayport's leading bully, Adam Ackerman, seems to be the prime suspect. But when he proves that he wasn't the bicycle thief, everyone turns out to be a potential culprit--even Mr. Mack's dog, Lucy! Can Frank and Joe crack the case and bring Frank's bicycle home?